Dr. Meiling Chen, one of the most world-renown aesthetic doctor, has been committed to keep up to date with the latest trends in the field of cosmetic and aesthetic surgery with an aim to exceed people’s expectations on beauty and fix the imperfection of their facial appearance. Every time after operating cosmetic surgeries, there’ll always be patients asking, “Dr. Chen, what kind of skin care products should I use after having the surgery?,” which motivates Dr. Meiling Chen to create a serious of skincare products that works for after-surgery skincare. 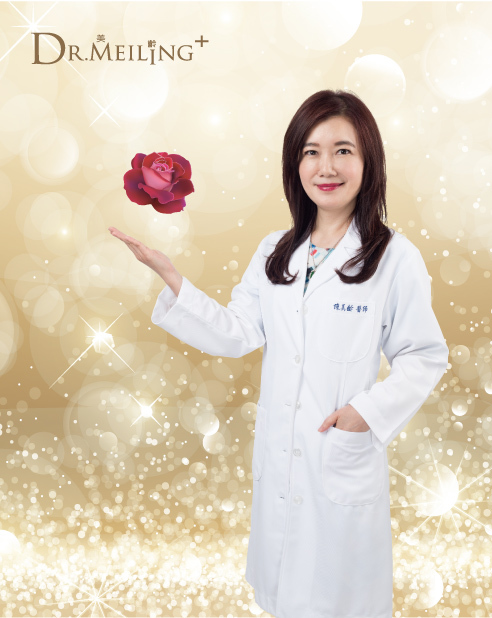 With expertise in the field of cosmetology and dermatology, Dr. Meiling Chen created a series of medical-class skin care products, Dr. Meiling. Their antioxidant formula are suitatble for post-operative skincare and can extend how long the surgery’s effect last for, making skin suppler and more luminous. Dr. Meiling allows men and women to reclaim their radiance from the rigorous of life and be their beautiful best even at home.